Using the Shoviv GroupWise to Exchange Migration tool lets you migrate GroupWise to Exchange server with efficiency never experienced before. If you are a GroupWise user and are looking forward to migrating GroupWise to Exchange server, using this tool would provide you with the best procedure and the fastest results. With this tool you can migrate all elements of the data, converting multiple GroupWise mailboxes at once. Though the process of GroupWise to Exchange server migration is highly technical and needs one to be an expert to do that efficiently, using this software resolves one of that need. Operating it doesn’t need one to have technical expertise either, it has a user-friendly Graphic User Interface designed especially for that. Following are the features you would get effortlessly with this tool. Lets one export GroupWise mailboxes to different versions of GroupWise server, with equally efficient service for them all. The whole process of GroupWise to Exchange server migration need not cause you a headache. The user-friendly interface of this tool provides you with an environment comfortable to execute data migration in. No matter how new you are to the process of migrating GroupWise to Exchange server, you would face no problems while using this tool. This software can establish connectivity with the GroupWise mailboxes via different options. The options users are offered are as following- 1. Default, 2. Include proxy, 3.Remote mailbox path, 4.online, 5. Cache mailbox path. One can choose from among these according to one’s needs and according to the situation’s demands. This GroupWise migration tool is as useful for GroupWise to Office 365 migration as it is for GroupWise to Exchange server migration. For the Office 365 migration procedure, you need to have the Office 365 credentials to fetch all the mailboxes. One has to ensure that one has full access right to the selected Admin user to perform the migration. The mapping facility lets you map the source mailboxes according to your convenience to the target mailbox. This task can be carries manually as well as automatically. Finally, you can migrate the GroupWise mailboxes to Office 365 public as well as archive mailboxes. In the same manner as the process of GroupWise to Office 365 migration, one can use this tool for GroupWise to Exchange server transfer. During the migration, one can map GroupWise mailboxes to target Exchange server mailboxes. This task can be performed manually as well as automatically. The GroupWise mailboxes can be migrated to Live Exchange server Archive mailbox as well as to public folder. One can choose to migrate the GroupWise files into the PST format either by moving single files one-by-one or migrating multiple files at once. The users are also given the choice of creating Unicode as well as non-Unicode PST files while exporting them. Further, if the size of the PST files is too huge, the PST split option lets one break the GroupWise files into multiple PST files. One can choose to split the files into as many PST files as they want. 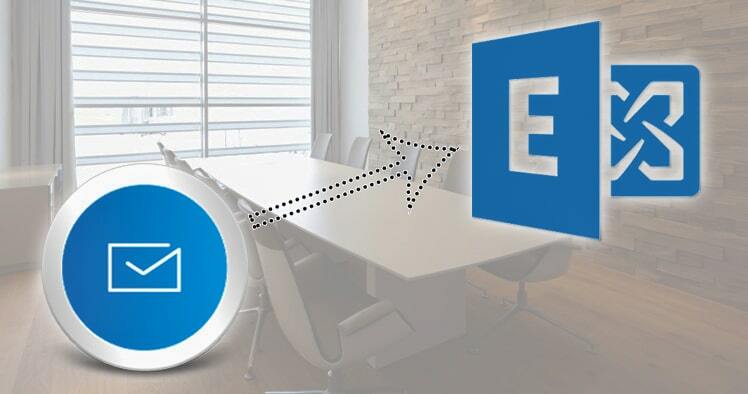 In case the user has got an Outlook profile of Live Exchange server, Office 365 or any other IMAP/POP Account, they can migrate GroupWise Mailboxes and Single Mailbox data into selected profile Email client as well migrate it to archive mailbox and public folder. Once done with the process of GroupWise to Exchange server migration, the user can save the files in the EML and PST format. These two are quite popular mail file formats and can be used to store the migrated mail files according to the preference of the user. During the process of GroupWise to Exchange server migration or of GroupWise to Office 365 migration, one can utilize the folder mapping option. This feature is used to save source mailboxes to target mailboxes and is useful for changing the name and location of the files. Before you click on your mouse for the final stage of GroupWise to Exchange server migration, you must take a look at the data and its properties. Using this tool makes that step extremely easy since it comes with data preview facility. In the midst of data export and migration task, you can filter items based on date range and item type. You can first decide whether this tool fulfills your needs in GroupWise to Exchange server migration or not by using its free trial version. It comes with all the features present in the full version and lets you migrate a whooping 25 items per folder. Connect with us for queries for or feedback. You can test the free demo version by clicking right here.